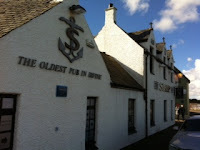 The town was made a Royal Burgh in 1372 by Robert II and has historical maritime connections. The harbour became a major west coast seaport and now houses the main site of the Scottish Maritime Museum. Irvine was officially designated as a “New Town” in 1966, the fifth and last to be developed in Scotland and the only one to be located on the coast. Irvine is the birthplace of the present First Minister of Scotland and SNP leader (and Jimmy Krankie lookalikey) Nicola Sturgeon and also Roddy Woomble, lead singer of indie rockers Idlewild. 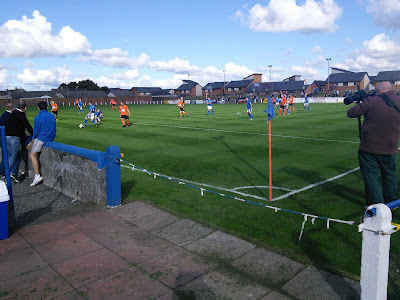 Irvine Meadow XI formed in 1897. The Medda have lifted the Scottish Junior Cup on three occasions, winning 2-1 against both Shettleston in 1959 and Glenafton Athletic in 1963. They completed their hat-trick ten years later finally overcoming Cambuslang Rangers 1-0 in the second replay following 2-2 and 3-3 draws. They’ve also finished runners-up twice, losing out to Bo’ness United in 1948 and Petershill in 1951, in front of a record Junior Cup final crowd of 77,650 at Hampden Park. The Meadow have won an array of cup honours throughout their history including 9 West of Scotland Cup’s and the Ayrshire Cup 14 times. Record Attendance 13,740 V Stonehouse Violet in 1949 in Junior Cup 5th Round. 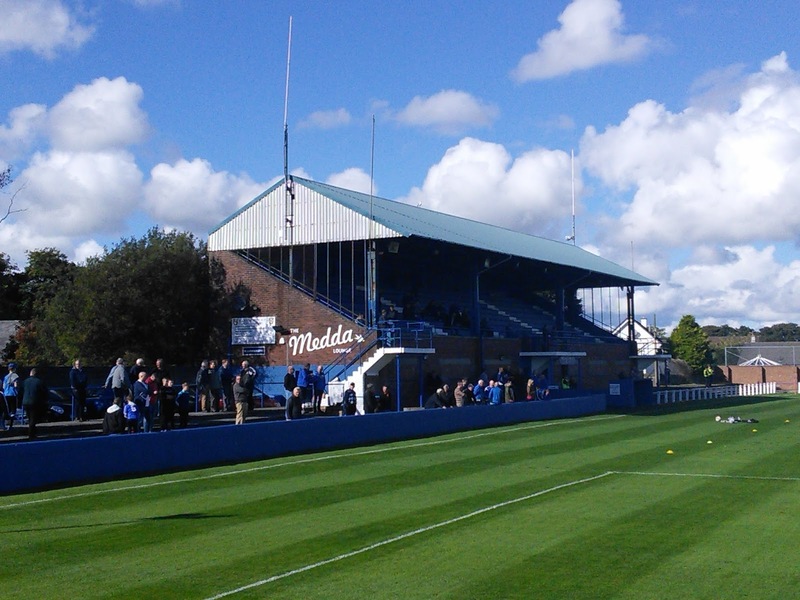 Meadow Park has a classic old style stand which holds 700 seats. The social club, changing rooms and refreshment bar are underneath the stand. The home dugout is in front of the stand and the away team in front of the opposite terrace. There’s also terracing behind goals with a larger standing area at the turnstile entrance. 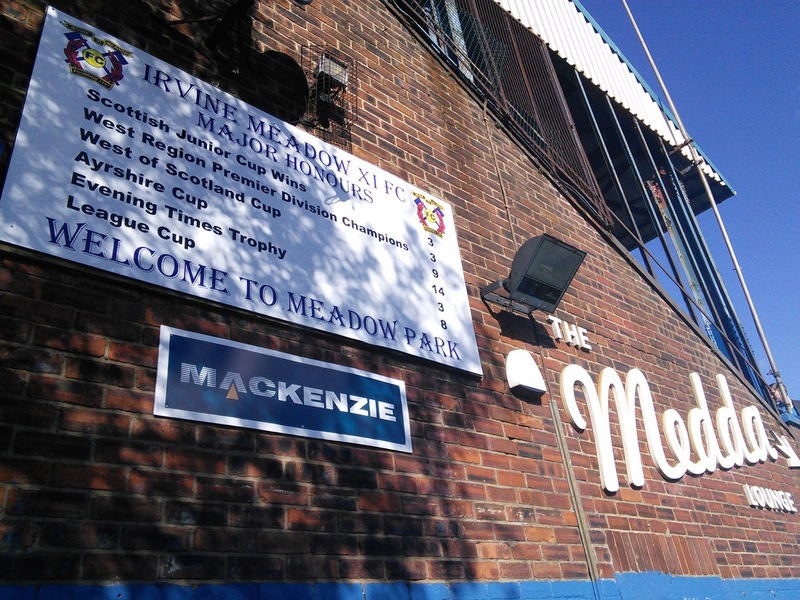 Medda came from behind to claim local bragging rights in the Irvine derby. Victoria took the lead in the 11th minute with a peach of a goal from Paul Young, who picked up the ball on the left edge of the penalty area and fired in off the far post. A spell of pressure from the home side saw them draw level on 23 minutes, when a low hard cross from the left was turned into his own net by the defender. They grabbed the lead before the break. A right wing corner kick was cleared, then when the ball was recycled into the area it found Ryan Begley unmarked to head in at the back stick. After a good opening 45, the second half didn’t quite live up to expectations, Meadow were the better side but chances were few and far between. 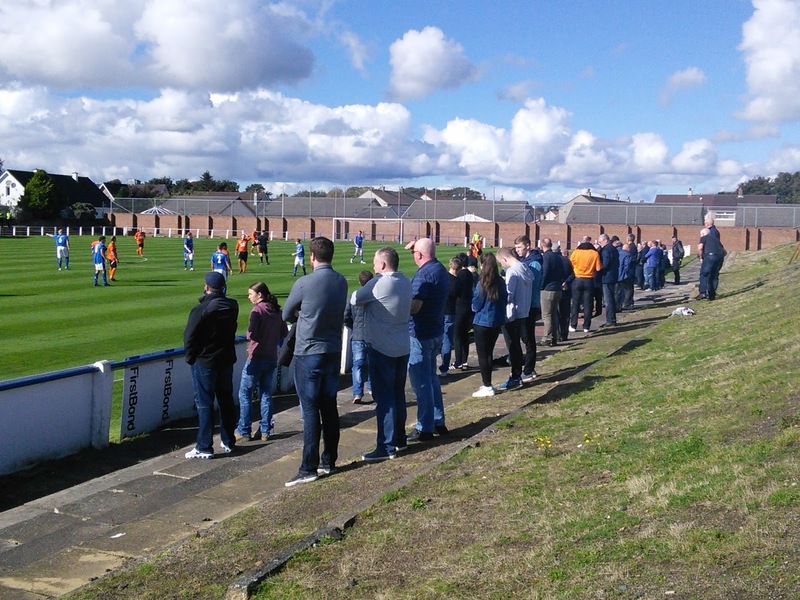 The Wee Vics might have got something out of the game, but their cause wasn’t helped by the referee who sent off Scott Chesney on 79 minutes for two yellow card offenses. Medda sealed victory with just a few minutes remaining, when a long pass found Ryan Black who beat the outcoming ‘keeper to the ball to toe-poked into the net. Caught the 1204 train to Irvine and the 1606 return. I arrived in Irvine at 12.30, calling at the Auld Brig for lunch and yet another ‘Spoons tick, before a stroll along the harbour towards the Ship Inn, the oldest pub in Irvine dating back to 1595. 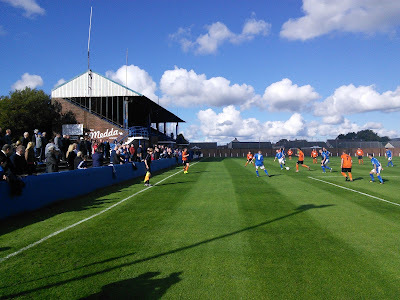 Irvine Meadow is the penultimate club in a project which has took over my life over the last two seasons. 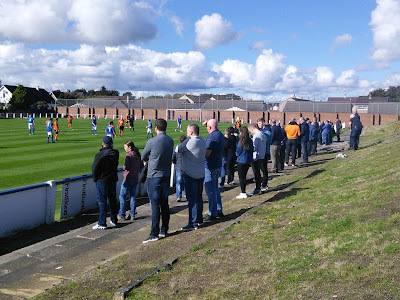 The final club I need to visit for my book is Arthurlie and I’m keeping everything crossed that they have a home fixture on my next planned trip to Glasgow on the 29th October, while will finally complete my trail of the Scottish Holy Grail.